Looking to finally get those summer abs you always wanted? The plank pose is awesome for building core strength and stability. The benefits of planking include increased balance, posture, flexibility, and the strength of your core, upper-body, and lower-body. The front plank (shown below) is the most basic form of all the planks, but there are countless variations and modifications of this exercise including the forearm plank, side plank, wall plank, reverse plank, and many many more! Though the plank is often practiced during yoga, this simple exercise can be added to any workout and can be done anywhere. If you want to increase the length of your plank, it's best to practice them in intervals. You can start out with 30 second intervals, and increase them in 15 second increments when they become too easy. If the full front plank is too difficult for you, begin with a modified plank where you keep your knees on the ground, and then you can slowly work your way up to your feet. If you're ready to put yourself to the test, you can try the plank challenge by 30 Day Fitness Challenges. Now get off the couch, and go do some planks! Andy Murray, the 27 year old tennis star, has seen much success throughout his career and he continues to excel throughout the 2014 Wimbledon Championships. The Scottish player, coming into this tournament as the number 3 seed, is the current defending singles champion and is hoping to be able to keep that title. After his victory on Wednesday over 16th seed Blaz Rola, he has advanced himself into the third round of the tournament and will play his next match on Friday June 27 against Roberto Bautista Agut. With 28 ATP titles and an ATP world ranking of 5, it's clear that Murray has dedicated a great deal of time to his practice and trainings to get where he is today. Murray says he attributes much of his success to bikram yoga. Practicing bikram has increased his strength, flexibility, focus, balance, and endurance. The evident physical and mental benefits have undoubtedly helped to improve his game and allowed him to compete with some of the most elite athletes in the world. The mental aspect is especially crucial for Murray because it has helped control his temper during grueling matches and it keeps him focused when it's most important. Murray, like many other professional athletes today, is a huge advocate for bikram and is willing to endure the 90 minutes of sweat for its amazing benefits. So you're ready to finally try Bikram. You've probably heard people raving about how great it is, and read about celebrities who swear by it. Well now it's time you experience this wonderful art of Bikram for yourself. Bikram yoga was created by Indian yoga instructor Bikram Choudhury, and became popular in the early 70s. Bikram is a specific form of hot yoga, in which the room is heated to 105 degrees Fahrenheit (or 40.6 degrees Celsius). The sessions run for 90 minutes, and consist of a series of 26 different posturees, in addition to 2 breathing exercises. 1. Make sure you drink plenty of water ahead of time. You will be sweating A LOT so it's crucial that you are hydrated. Also bring a water bottle with you so you can stay hydrated throughout the class. Trust me, you're going to need it! 2. Don't arrive on a full stomach. Your last full meal should ideally be 2-3 hours before your class. If you do find yourself hungry before class, have a light snack. Just try to avoid anything heavy, greasy, or fatty. 3. Your clothing should be minimal. It's extremely hot in the room, so the more clothing you're wearing, the more miserable you'll be. Try to find something breathable and that can wick away your sweat. Eros Sport products are PERFECT for Bikram! 4. Get there early. You're going to want make sure you have enough time to set up your mat and towel and become acclimated to the extreme heat. If you're new, you can even ask the instructor where the "cool spots" are, as some areas may not be as hot as others. Near the window, or door is usually a safe bet. 5. Don't be afraid to take a break. Since it's your first session, everything will be new to you and it's perfectly acceptable to take a break when you need it. If you find a posture too difficult, thats okay; don't feel pressured to do something your body simply cannot handle. With practice, you will be able to work up to it! So what are you waiting for?! You know all you need to know, and now it's time for you to go take your first Bikram yoga class. As summer begins, that perfect summer body is something we're all striving for. If you're hungry, it's okay, have a snack! Just make sure it's something healthy and will provide you with some nutrients. So put down the Doritos, put down the Oreos, put down the pint of ice cream, and try some of our favorite clean eating snacks. 6. Handful of nuts- nuts are high in calorie and fat so watch your portions! 9. Dark chocolate- Did they say chocolate? Yes we did! Leave us a comment with your favorite clean eating snacks and recipes! Athletes from a wide range of sports have been turning to yoga for years to amp up their game on the field and court. Yoga has been proven to be an extremely effective cross-training technique and has lead to higher performance amongst those athletes who have utilized this practice. 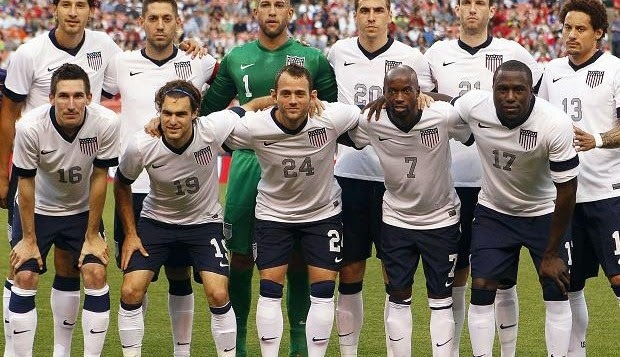 With all the excitement of the World Cup going on, we decided to take a deeper look at the US Men's soccer team and how they are preparing for the Cup. Coach Jürgen Klinsmann heavily emphasizes the player's health and fitness, and has implemented some changes with the hopes of giving Team USA a competitive advantage over the other teams in the tournament. In addition to meeting with nutritionists, traveling with a portable gym, and analyzing the player's blood work, yoga sessions have also been added to the practice schedule. Yoga has numerous benefits for soccer players including increasing flexibility, reducing chance of injury, boosting endurance, and improving joint and core strength. In a soccer match, players can run to 7-8 miles so it's very important that the muscles be kept loose and strong in order to prevent muscles strains and stress on the body. Team USA has been placed in Group G, which has now become known as the "Group of Death". Grouped with Portugal, Germany, and Ghana, the USA is facing some very tough competition. Though the chances of the USA being successful seem slim, hopes are remaining high. The men play their first match of the World Cup today against Ghana. After being knocked out of the tournament by Ghana in both 2010 and 2006, the USA is looking for some redemption this afternoon. Hopefully all the work they put in off the field will give them the upper hand in today's match. Make sure to tune in at 2:30(PST) to watch the game unfold. 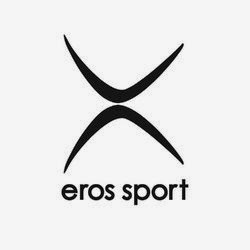 Welcome to the Eros Sport blog! Our mission here at Eros Sport is to create quality athletic apparel and gear that is made in the USA. The Eros men's line is designed by men keeping in mind fit and function. Eros apparel is made from premium breathable micro-fabrics to keep you cool by wicking sweat away during workouts and is built to take the abuse from intense workouts and many machine washings. Eros' products are ideal for a wide range of activities including yoga, pilates, boxing, cycling, dance, running, and much more!